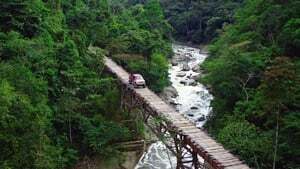 In a special episode, Clarkson, Hammond and May clatter across Colombia in a Jeep Wrangler, a Chevrolet Silverado pick-up and a Fiat Panda 4x4 as they attempt to capture high quality images of interesting animals to be used as Amazon’s new screensavers, encountering epic scenery, extreme peril, weird hobbies and even some actual animals along the way. In part two of this episode, Clarkson, Hammond and May continue their task of getting high-quality photos depicting interesting animals. In Colombia, they drive a Jeep Wrangler, Chevrolet Silverado pick-up and a Fiat Panda 4x4. 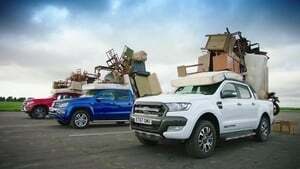 In this episode Jeremy Clarkson drives the Volkswagen Amarok, Richard Hammond tries a Ford Ranger and James May is in a Mercedes X-class as they attempt to find the best of the new breed of European pick-up trucks with a series of tests based on life in the developing world. 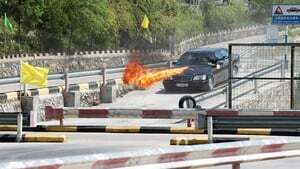 Also in the show, Jeremy is at the Eboladrome to try out the snorting, swollen, near-600 horsepower Jaguar XE Project 8. 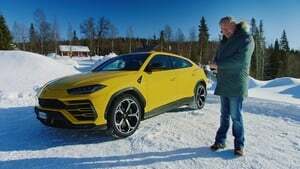 Jeremy Clarkson is in Sweden driving the new Lamborghini Urus SUV, James May is at the Eboladrome trying the Alpine A110 sports car, and Richard Hammond profiles Scottish racing driver Jim Clark, arguably the greatest racer of any generation. Clarkson, May and Hammond set out to buy rare classic cars that have yet to increase significantly in price. 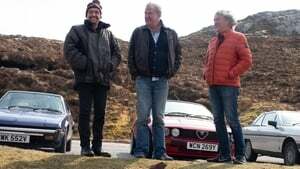 With Clarkson in an Alfa Romeo GTV6, Hammond in a Fiat X1/9 and May in a Lancia Gamma Coupe, the three set off on a road trip around the top of Scotland. We can look forward to seeing Hammond testing the new Aston Martin V8 Vantage. He compares it to his favourite car the Porsche 911. James May gives us a history lesson as he takes a look at the cars driven by the astronauts of the Apollo moon missions. 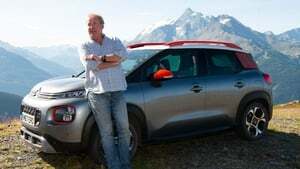 Clarkson is testing the Citroen C3 Aircross as he attempts to convince the others that it’s spacious, versatile and better than an elephant. 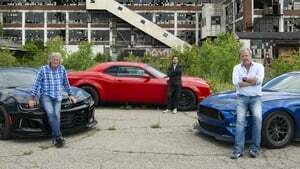 Jeremy Clarkson, Richard Hammond and James May celebrate the affordable, practical and fun wonder that is the hot hatchback. With Clarkson in the VW Polo GTI, Hammond in the Ford Fiesta ST and May in the unpronounceable Toyota Yaris GRMN. 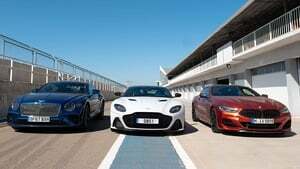 Jeremy Clarkson, Richard Hammond and James May are driving the Aston Martin DBS, the Bentley Continental GT and the BMW M850i on an epic 1000 kilometre trip from the shores of the salt water Black Sea in Georgia to the edge of the freshwater Caspian Sea in Azerbaijan. 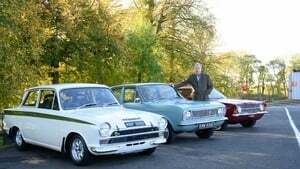 Jeremy Clarkson tests two modernised versions of classic Lancias. James May looks back at the incredible story of the Porsche 917 and Richard Hammond joins Clarkson at Stansted airport as the pair attempt to speed up the journey from check-in to security to the actual aeroplane by devising two radical takes on the idea of motorised hand luggage. Jeremy Clarkson, Richard Hammond and James May are dropped in the vast wilderness of Mongolia and told to await a delivery which turns out to be some basic rations and all the flat-packed parts they need to assemble a vehicle in which they can escape to civilisation. 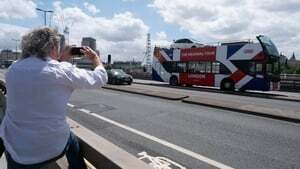 In the final episode of the series, Jeremy Clarkson, Richard Hammond and James May present a short and informative history class on one of the bedrocks of British life.